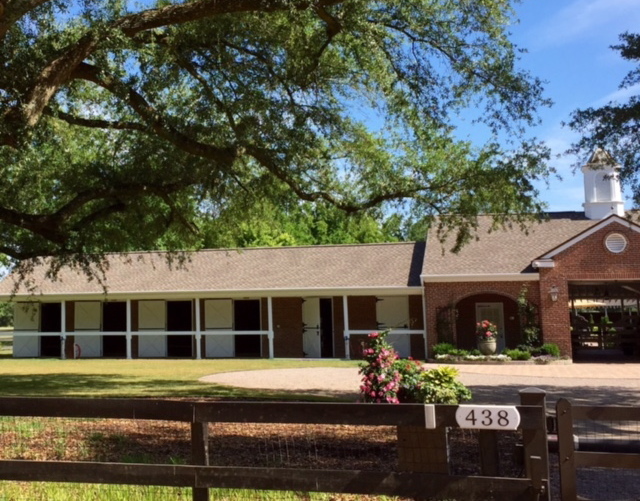 Equestrian families already know about South Carolina Thoroughbred Country, and especially Aiken. Never-been-on-a-horse travelers like me can immerse in so many events, meals, fashions, art, museums and conversations that it’s easy to claim a new self-image as a horse insider — all in one pleasant holiday. Bound to be more fun next time we watch the Kentucky Derby, Preakness or Belmont. Should you harbor any hesitancy about fitting into the world of people with thoroughbred champion horses, replace that with sheer pleasure cheering together at the polo field or steeplechase park, eating eggs with them at The Track Kitchen and leaning on miles of fences where 40 champions have trained. 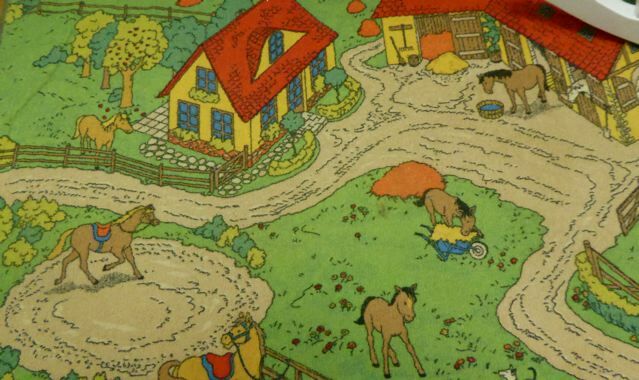 I can even tell you where to find that big-brimmed hat, and the latest equestrian fashions for every age, including the wide range in my big, blended family. Aiken is just across the border from Augusta, Georgia, and 56 miles south and a little west of the South Carolina state capital, Columbia. 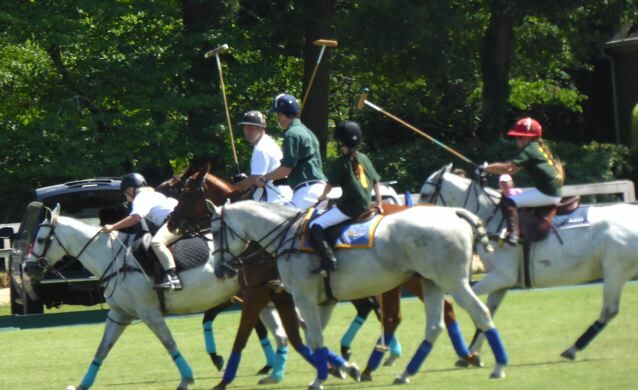 The Aiken Polo Club played its first game in 1882 and today they’ll invite the rest of us in to watch for $5. Kids ages 6-12 play the halftime match, learning this sport in which women comprise 35 percent of all polo players. I kept my eyes on a pink-helmeted player named Eliza Limehouse all afternoon. My horse-riding granddaughters would have followed her too. Splurge if you like with a $20 polo ticket to be under the pavilion with unlimited food and drink. No matter where you sit, get out on the field to do the Divot Stomp—a polo dance to repair clumps of grass and dirt gouged during the seven-minute quarters. Late April to early June and mid-September through the first week in November are polo seasons but Aiken’s save the date calendar includes fall and spring steeplechases and early April horse shows. One is in an urban forest. Do you love the fabric technology changing your ski clothes and bathing suits, yoga pants and bike wear? Same thing’s happening for equestrians and their fans I learned in Equine Divine, a boutique shop in bustling downtown Aiken. That I can appreciate after holding a polo player’s mallet and admiring the skill required to twist and bend and balance while swinging that wooden mallet and not hitting the horse. 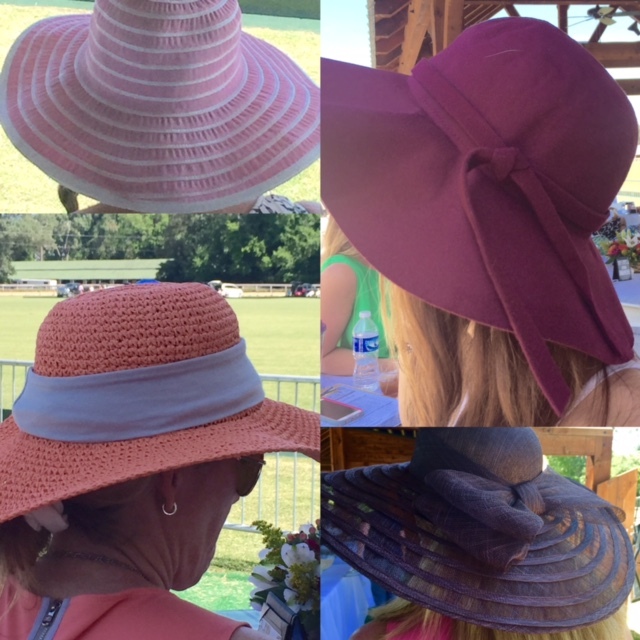 Hats fun and alluring for polo and the Sttplechase in Aiken SC. Photo by Christine Tibbetts, Blended Family Traveling Mom. 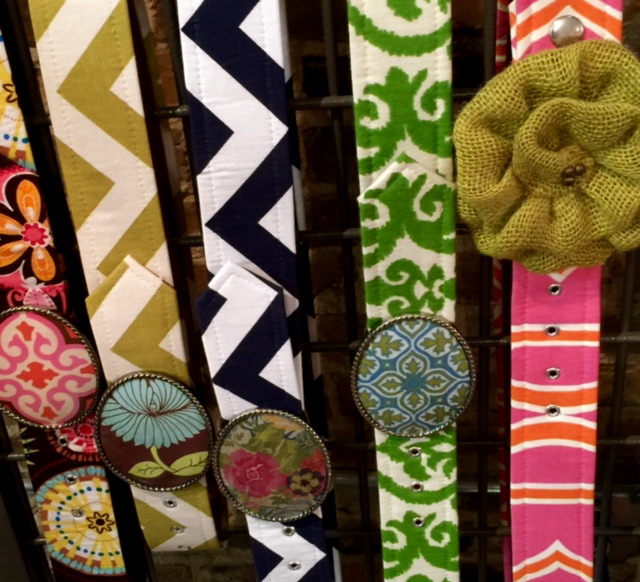 Didn’t think I needed one of Divine Equine’s belts made with Swarovski crystals, but knew I could sport a Loopty Loo fabric belt of bold, happy colors like riders enjoy too. Hats are part of the fun at equestrian events and I saw them in many Aiken downtown shops, including Vinya’s with pretty sundresses to match. What do men wear? Bow ties and seersucker for a dressing-up mood – but that’s not necessary I observed. 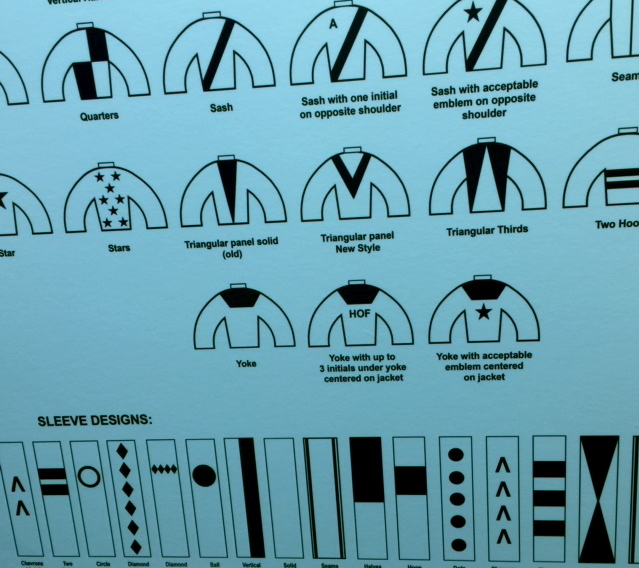 Jockeys need fashion too and a study of hearts, diamonds, stars and polka dots is rather fun in the Aiken Thoroughbred Racing Hall of Fame & Museum. Silks are what those lightweight riders wear with colors and patterns readily identifiable. Find many framed jackets next to photos of the 40 champion horses in this museum, housed in a former stable. 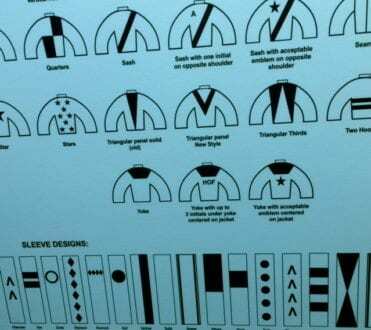 Specific designs distinguish thoroughbred riders. Photo by Christine Tibbetts, Blended Family Traveling Mom. Upstairs where the hay was stored when Mr. and Mrs. C. Oliver Iselin and their horses wintered here during the Gilded Age I found detailed charts of the 19 sleeve designs for silks, and the 52 possible patterns. You’ll find the Thoroughbred Racing Hall of Fame within Hopelands Gardens, 14 acres of old oaks, deodar cedars and many magnolia trees. Carefully groomed paths allow strolling past azaleas and dogwoods, English ivy and butterfly gardens, ponds with waterfowl and beds of daylilies and Japanese iris. 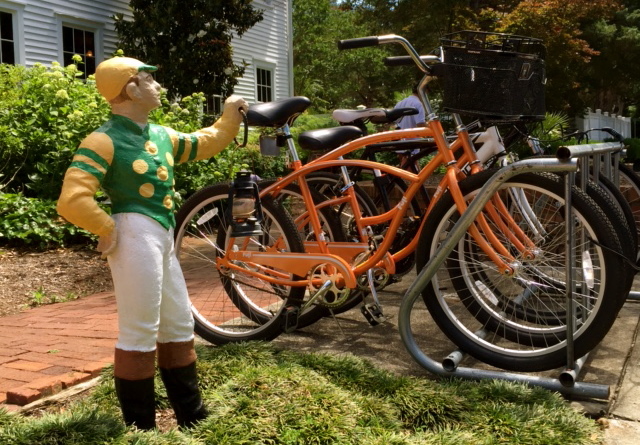 I met another kind of jockey at The Willcox Hotel — the concrete lawn jockey, hand outstretched to welcome bicycles available for hotel guests to borrow. Artist Betsy Wilson-Mahoney was putting the finishing touches on a lawn jockey, his silks the colors of “my grandmother’s tulips” she told me. Commissioned art this one. Access her lovely watercolors in a book of reflections from her childhood in Aiken, capturing iconic scenes of the canopy boulevards, gardens, historic buildings and festivals. Equestrian art abounds too. 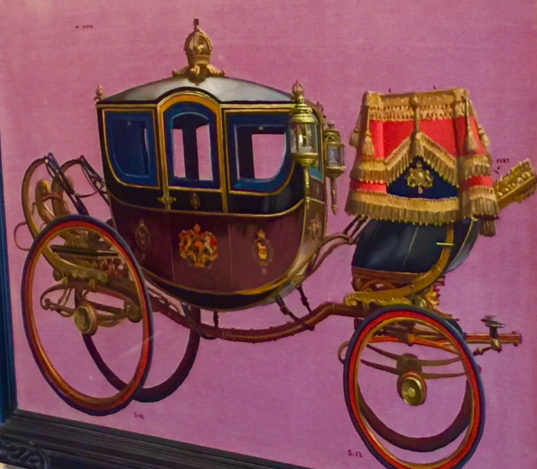 Imagine yourself in an elegant horse-drawn carriage gazing at works by British artist John Leigh Pemberton in The Willcox gallery en your way to the buffet breakfast. The gallery in The Willcox Hotel is one of manyAiken spots for equetrian art. Photo by Christine Tibbetts, Blended Family Traveling Mom. Feel the energy of the thoroughbreds in large paintings by Susan Easton Burns, 2014 commissioned artist for the Kentucky Derby; the Equine Divine boutique is also a gallery. Twenty art horses stand tall and creative around Aiken, commissioned as a fundraiser and now appearing on street corners and in front yards. Equestrian isn’t everything in the massive, 22,000 square foot Aiken Center for the Arts—but horse images are within the multitude of art forms in this downtown multi-story gallery, auditorium, classroom gathering place of film festivals, orchestra performances and theater. Expect an Aiken visit to include dining experiences elbow-to-elbow with thoroughbred owners and trainers. The ultra-casual Track Kitchen is one such place. Yes, stables and tracks are within sight. At peak season, 65 horses might be seen in training paces. Those folks who believe Aiken preparation will lead to the big race win will order eggs or sandwiches the same way you will – at the kitchen window – and that’s the charm. Good chance of meeting Cot Campbell too, especially over morning coffee. He’s the owner of Dogwood Stable whose Palace Malice was the Belmont Stakes winner in 2013, and he initiated the idea of partnering to own race horses. Maybe own one quarter. He and his wife looked so cheerful with friends in a downtown restaurant when I saw him next that I suspect the culinary abundance in Aiken is part of the charm. Have you found surprising ways to fit in and enjoy a destination whose specialty was not among your skill set or experience? Share with us in the comment section below.